Are you searching the best answers to "tell me something about yourself" which is always asked in the interview then you are now in the right place? We know this is the first question when we go to the interview room before the interviewer. This question is asked to fresher and experienced both. So answers might be different by your qualification and experience. But there are also ways to tell something about your self that should be impressive and should be the very clear short description about your personal life and work experience life. 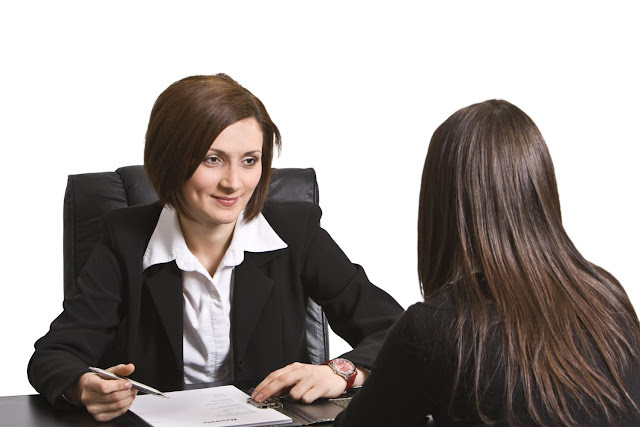 Here I have collected some best answers for this question that might help you to prepare your first interview's answers clearly and you tell about your self without any hesitation. So let's start here one by one of the top answers of some guys which tell some informative suggestion for this. Note - Suppose I am currently working as Sr. SEO executive and this answer is base on about me..
On the basis of the above point, I write here as my profile. You need to only tell different about your experience and Qualification as you have. Well, I am Amit Kumar, I am Arise born. Currently, I am putting up at Noida Sec 2. I have done BSC IT form NIIT New South Delhi. Currently, I am working as Sr, SEO Executive in Think Health Service. I have total 4 years + work experience in SEO and SMO Profile. I Know properly On page and Off Page work activity, In On page, First of all, we analysis the website on the basis on the business goal, what kinds business website and what needs to change in the website on the basis of client requirement. After that, We start the fix issues like content optimization, landing page optimization, backlink optimization, URL optimization, Meta tag optimization, Broken link Optimization, target page optimization and many such other on pages work activities. After fixing all the technical issues from the website we start Off page work activities like search engine submission, ping Submission, Local business listing, Classified submission, Blog, article, press release submission, Document submissions like pdf and PPT. We also focus to create video and upload it YouTube and daily motions website. Apart from these we also do the forum discussion, question answers, blog commenting, guest posting and others for creating natural backlinks. I also manage to Google webmaster and Google analytics for the website. We always do the analysis of the website on the basis of our data in Google webmaster and analytics tool. We also know how to create data highlighter and goal for the website to get more traffic and analysis the website properly. My hobbies are to seek challenging work environment which provides me growth and development my work industry. My ambition is to earn more and learns more about digital marketing. Little about my family background, I have two younger brothers and one younger sister who is still studying. My father is Farmer and my mother is a good homemaker. That's a brief introduction about me. Thanks. Note: - If you have the same profile as me then I think It might be helpful to you. I know we can not tell same to same before interviewer but we can try as much as possible. Now I would like to share some other guys suggestion about this question. I also might help you. You should keep your answer a little bit brief, it may not be like that the interviewer doesn’t get time to ask you any other question. Make your answer a little bit interesting with some twist, positive points and relate it to the real world examples otherwise, it will be a little boring or irrelevant. In the whole answer you should keep yourself on the track otherwise it will not be a good impression. You should always connect your answer in an efficient manner. For example, I did A because I know how to do B and I like to do C in my future. If you answer in this manner then there will be a good impression on Interviewer. As your answer will be of around 5 minutes, so in such a little time you will not be able to discuss your life. As you have done many things in your life just ignore that things which are not relevant to the interview and focus what things should be said to attract the interview in first go. Everyone has some negative points and the interviewer can catch it very easily. Instead, He\She ask you about your negative points you just mention it in your answer with a cover which suits the point. For example, You have a gap in your studies, just mention it while answer with a cover like “In that particular year I was not suffering from this or a misfortune took place in my family” whatsoever be the reason but try to mention it in your answer with its cover. This is the point many candidates miss, they just wrap it by saying “All this I can tell you about myself”. This is not the correct way and leaves a bad impression on the interviewer. I like to tell you please wrap it in a good manner so that a good impression of your’s should be in his\her mind. For example State a good reason why you are here and wrapped it like “….this is the reason why I am here, I know working with ABC will be a good experience and it will help me in all manner. It seems to be one of the very common questions asked with a very natural answer in general. A “tell me about yourself” question is all about speaking on oneself and views to be one of the simplest questions. But when the same is asked in an HR interview, the issue seems as hard as any other technical question. If you haven’t adequately expressed about yourself, you are most probably not selected for further procedures in a company. Thus, one needs to be thorough about this fundamental question which is always asked in an interview. One needs to understand this from the interviewer’s point of view. For an Interviewer, it is an open-ended and easy way to start a communication. The answer to this question will help him decide if you are fit for the job or not. This question also works as a first impression to him about the candidate. Now, you might wonder, how to nail this question. You want to badly make it to this interview and looking for a perfect answer. If it is the same case with you, you have landed to the right place. Firstly, one needs to answer who you actually are. This includes your name, the place you belong to, what your personality is like, a little show off about your strengths all in a professional manner. This is the second fact you need to introspect. Add your knowledge to the list of points about yourself. Find out the fields where you are an exception from others. Think about your achievements in life because of the expertise. The emphasis here is on your experience, your proof of performance and your enthusiasm. Analyze the reasons and your strengths that made you come here and why you want to be a part of the team. Here, you can think of the reasons why you will be perfect for the company or how will the company be benefited from you. Thus, it is necessary to introspect yourself and jot down these points. This is all you have to speak about yourself in the ‘tell me about yourself’ section. Once you have jotted down these points, create a summary of all so that you can speak out all the important points in a very short period of time leaving a good image about yourself in the mind of the interviewer. The ultimate goal of this question during the interview is to find out enough about you to decide if you’re a good fit for the job. The interviewer will be expecting you to open up. This question is always asked as the first Q in most of the interview sessions. Your answer here will also set the tone for the interview and let you lead with your strongest selling points. You must keep it focused and short, ideally less than a minute, and no more than 2 minutes. Prepare well and try a concise, enthusiastic response that summarizes your big-picture fit for the job. This is also a good opportunity to share some information about your proudest achievements and goals. What are your primary selling points for this job? Talk about a number of years of experience in a particular industry or area of specialization. Focus more on the qualifications in the job description and how you meet and exceed the requirements. Why are you interested in this position right now? You can wrap up your answer by indicating why you are looking for a new challenge and why you feel this role is the best next step. Your first sentence should be an introduction to who you are professional, an overview statement that shows off your strengths and gives a little sense of your personality too. Example: "I’m an expert in making Enterprise Applications with 3 years of experience in Java EE design and development with Oracle Java Programmer and Architect Certifications — for banking applications — for Fortune 500 companies." Example: "I have spent the last six months developing my skills as a Junior Architect for EPractize Labs Software., where I have won several performance awards and been promoted twice. I love managing teams and solving product issues." Conclude by telling them you want the position and why. Example: "Although I love my current role, I feel I’m now ready for a more challenging assignment and this position really excites me." The best answer will be the one that tells them about you. No one can supply this answer for you and it should be one that you practice until you are confident. 1. Keep your answer about the business you. There is no need to bring in the personal you. 2. You can and should summarize the information that is on your resume. I know some people say that the interviewer already read your resume so don’t repeat it. That’s not good advice and let me tell you why. Yes, I most likely read your resume. However, I might have read it days or weeks earlier when I decided to bring you in for an interview. While I always try to review a resume again before I walk into an interview, I don’t always have time. Plus, there have been times where I have not read the resume at all. I have been asked to attend interviews last minute (set up by other hiring managers) where I am not handed a resume until the candidate gives it to me. 3. Talk about only your most recent position and keep it very high level (unless they specifically asked you to walk them through your work history). End your answer by asking them if they want more detail about your responsibilities. Hope the above suggestions might be helpful for your interview. If you want to share your answers about yourself then comment below.